Every school year thousands of dorm rooms are passed down to the new crop of incoming freshman college students. Dormorities today come in a range of sizes, quality, features and amentiies. Its important to educate yourself on which dorm you will be staying in. 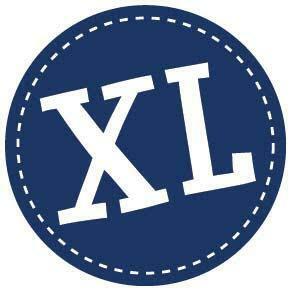 That's why we have compiled the dorm guide for the top Texas colleges. 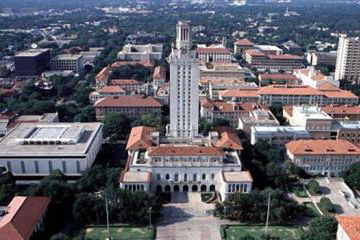 The top Texas colleges with the best overall dormitory atmosphere include: University of Texas - Austin in Austin, Southern Methodist University in Dallas, Texas State University in San Marcos, and Texas Christian University in Fort Worth. Andrews Hall - This is a co-ed residence with double rooms and houses 132 students. Blanton Hall - Over 270 students live in this dorm. It is co-ed with double rooms. Brackenridge Hall - There are 128 students living here. Double rooms, co-ed dorm. Carothers Hall - This is a co-ed dorm housing 131 students in double rooms. Creekside Hall - This is an all-male dorm housing 190 students in double rooms. Duren Hall - This is a cod-ed dorm with 572 students living in double rooms. Jester West Hall - There are over 1,800 students in this co-ed dorm. These are all double rooms. Jester East Hall - There are 1,148 students living in this double room, co-ed residence. 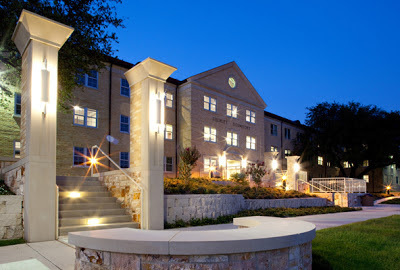 Kinsolving Hall - This is an all-female residence housing 735 students in double rooms. Littlefield Hall - This is an all-female dorm with a capacity for 152 students in double rooms. Moore-Hill Hall - This is a co-ed dorm housing 386 students in double rooms. Prather Hall - There are 158 students living in this co-ed dorm in double rooms. Roberts Hall - This is a co-ed dorm with 127 students living in double rooms. San Jacinto Hall - Over 800 students live in this co-ed dorm in double rooms. Whitis Court Hall - There are 197 students living in this co-ed dorm in double rooms. Southern Methodist University in Dallas is a private university comprised of seven colleges. It is located right in the middle of the busy urban Dallas setting. There are over 11,000 students enrolled from all over the world. There are 7 residence halls on campus for undergraduates. All residences feature carpeted rooms, local phone, wifi for computer access, air conditioning, security card system, co-ed halls, laundry rooms, snack rooms and microwaves throughout the halls. Boaz Hall - There are 197 students living in this hall in single and double rooms. Cockrell-McIntosh - This hall houses 209 students in single and double rooms. Mary Hay - There are 114 students in this hall in single and double rooms. McElvaney Hall - There are 206 students living here in double rooms. Morrison-McGinnis - This hall houses 201 students in single and double rooms. Peyton Hall - There are 94 students living here in single and double rooms. Shuttles Hall - There are 147 students in this hall in single and double rooms. 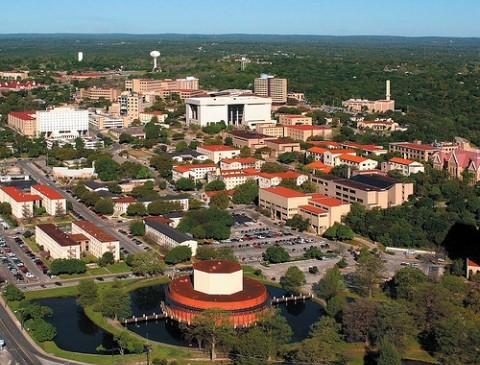 Texas State University in San Marcos has over 34,000 students enrolled in eight colleges. Over thirty-five percent of the students are ethnic minorities making this one of the most diverse campuses in Texas. There are 15 dormitories on campus that house from 66 to 715 students each. Arnold Hall - This hall houses 225 students in double rooms that are approximately 14 ft x 10 ft in size. Beretta Hall - This hall houses 92 students in 10 ft x 12 ft double rooms. Blanco Hall - Over 700 students live in this hall. The rooms are double and triple occupancy and average 15 ft x 22 ft.
Burleson Hall - This is an all female dorm. It has 66 students living in double-occupancy 10 ft x 13 ft rooms. Butler Hall - This hall houses 236 students in 10 ft x 13 ft double rooms. Chautauqua Hall - This hall has 306 students living in single and double rooms that average 15 ft x 16 ft.
Elliott Hall - This hall houses 186 students in double rooms averaging 11 ft x 13 ft.
Gaillardia Hall - There are 306 students in this hall which has single and double rooms that are 15 ft x 16 ft.
Hornsby Hall - This is an all male dorm. There are 66 students living in these 11 ft x 15 ft double-occupancy rooms. Jackson Hall - There are 419 students in this dorm. These are all double rooms. They measure 12 ft x 14 ft.
Lantana Hall - This is an all women’s dorm. There are 239 students living here in double rooms that are 10 ft x 11 ft.
Laurel Hall - There are 141 students in this dorm. The double rooms are 10 ft x 13 ft.
Retama Hall - This hall houses 141 students in double rooms that are 11 ft x 13 ft.
Smith Hall - There are 163 students in this dorm. The double rooms are 10 ft x 13 ft.
Sterry Hall - There are 371 students living in this hall. 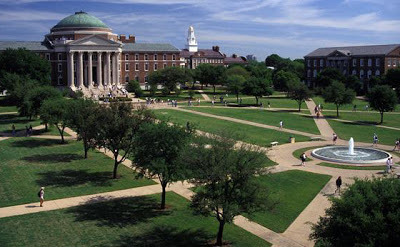 The rooms are all double and average 11 ft x 16 ft.
Texas Christian University in Fort Worth has an enrollment of 9,200 students of which 8,400 are undergraduates. The school was founded in 1873 and while the name might make it sound like a religious setting, it is an open environment offering classes in various areas. There are 16 total housing units at Texas Christian University of which 9 are on campus dormitories. Brachman Hall – This dorm is for first-year students. There are 155 residents in this dormitory. Most of the rooms are double occupancy with the average size being 11 ft x 18 ft.
Carter Hall, Samuelson Hall, King Hall, Wright Hall – These dormitories are for second, third and fourth year students. There are 628 students living in these four dormitories. Each student has a private bedroom. Clark Hall - This dorm is for first year students. There are 220 students living in this dormitory. The majority of rooms are double occupancy. The room size is 11 ft x 15 ft.
Colby Hall – This dorm is for first year female students. There are 350 students residing in this dormitory. Most are double rooms and are 11 ft by 16 ft.
Foster Hall – This dorm is for first year students. There are 300 students living in this dormitory. The rooms are double occupancy. The room size averages 12 ft x 18 ft.
Milton Daniel Hall – This dorm is primarily upperclassmen but there are a few rooms for first year students. This dorm has mainly double rooms with a few triple occupancy. The rooms are 11 ft x 15 ft in size. Moncrief Hall – This dorm is for first year students. This dorm houses 224 students in primarily double rooms. Some rooms are triple. The average room size is 11 ft x 15 ft.
Sherley Hall – This dorm is for first year students. There are 315 residents in this dorm. There are double and triple rooms in this hall with the typical room size being 11 ft x 15 ft.
Waits Hall – This dorm houses all levels of students. There are 211 students living in this hall which has double and triple rooms. The average room is 11 ft x 18 ft.